For when your parents' mouths are full. There is no denying that phones are addicting, but we’ve all heard the lecture that phones at the dinner table are a “no-no”. 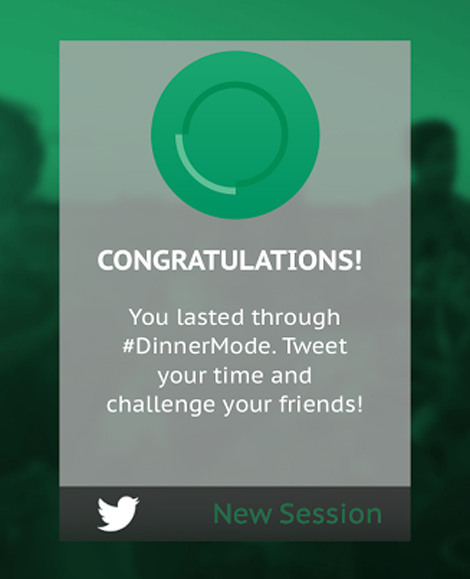 DinnerMode is a new iOS app that challenges users to put down their phone during meals by having them set a minimum timer for how long the meal will last. To encourage people to disconnect from their virtual lives and actually engage with the people around them (hmm…what an intriguing concept?! 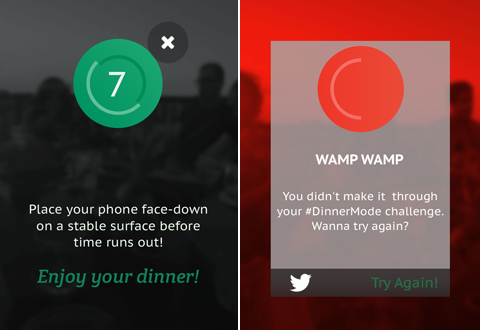 ), the app congratulates you if you successfully leave your phone untouched for the duration of the set time. But if you use your phone before the time is up, it shows a failure screen and noisily sounds off that you failed the challenge. You could always just put your phone on silent while you were eating…but the app is free so you might as well try it out. Ironically, it will give you one more reason to be on your phone.